Bathrooms can be the most dangerous places in the house, especially for the elderly. Slick floors, hard ceramic fixtures, tight quarters around splashing water can be quite hazardous. Thus, it is essential to set up bathroom safety equipments to provide a safe environment that minimizes the risk of injuries. 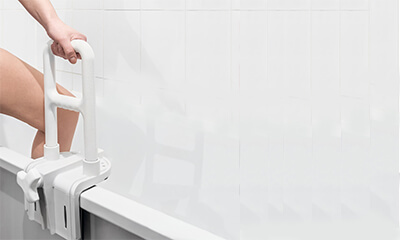 There are several devices that can be used in the bathroom to enhance a person’s feeling of security, and to safeguard against slips and falls.